A healthy overall diet may be key to helping MS. 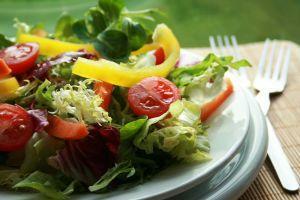 Helping MS with diet is a goal of many health care providers and patients. However, as there's not a single perfect MS diet available currently, sticking to optimum nutrition and healthy foods is a good starter plan. If you're here looking for information about helping MS with diet, then it's a good guess that you already know someone, or are someone, whose life has been affected by MS. We're going to be looking at diet help for MS in this article, but if you are curious about learning more about MS, or multiple sclerosis, then the "what is MS" pages at the National Multiple Sclerosis Society will be very useful. Can the Proper Diet Help MS? MS is a complicated condition. Most of the time the variables present in MS make it difficult to say whether or not there's one MS friendly diet for everyone. Also, there's not a clear consensus among the medical and scientific community about a useful diet to help treat MS. The best that most research can currently offer is that some diet adjustments may be helpful for people with MS, but there's no miracle diet plan for MS, no perfect diet plan for MS, and the same diets will likely work a bit differently for everyone. That said, first, you can look at some of the current research revolving around MS and diet. Then speak with a health care professional about how this research and or diet plan may or may not be useful for your particular situation. One of the better known diet plans for MS is the Swank Low-Fat Diet for the Treatment of MS.
15 grams or less of saturated fat per day. 20-50 grams of unsaturated fats per day. Red meat is off limits for the first year on the diet. After that first year about 3 oz. of red meat a week is fine. 1 percent or less butterfat in all dairy products consumed. Processed foods with saturated fats are off limits. The diet also recommends taking cod liver oil or caplets, a multi vitamin, and mineral supplements daily. Downside of the Swank Diet: The Swank diet claims to have been tested over 35 years and with hundreds of patients, but the information on the main website is scanty when it comes to details about the research, and they suggest you buy a book to learn more - a little shady but there are also other ways to learn about this diet, as you'll see. Without reading the book, you may be able to learn more at the Swank website because it's really a full fledged community. There are diet plans, diet log sheets, and meal ideas laid out nicely, a recipe section, and forum boards. There are also small cool areas like "A day in the diet" and "personal stories." When Ashton Embry, Ph.D learned his son had MS he developed ideas about helping MS with diet, in order to help his son. Embry's website Direct-MS is a good one to check out because he's cataloged many scientific nutrition studies that relate to MS. Eliminating: Protein heavy foods that may cause autoimmune issues. Some of these foods include all dairy, gluten grains (like rye and barely), legumes. Eliminating: Any food that causes allergic reactions. Reducing: Saturated fats, omega 6 polyunsaturated fats, corn, oats, and alcohol. Increasing: Skinless lean chicken, game, and fish. Increasing: Supplements that help to increase immunity. Read through the following resources to see if the diet can work for you. Something you may have noticed is that the two diets above don't differ much. You'll note this in some of the diets below as well. Most plans actually contain all the elements that a normal, but very healthy diet might. The point--one main factor that may help MS is a very healthy and well-balanced diet. This is how you should be eating for life, not simply to treat a problem.